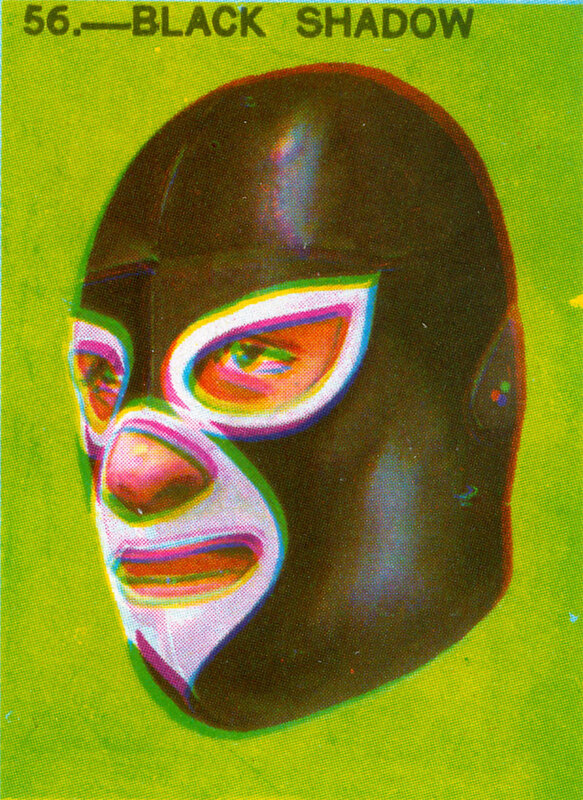 By request of a new reader in Mexico, here’s some more vintage enmascarado illustrations. 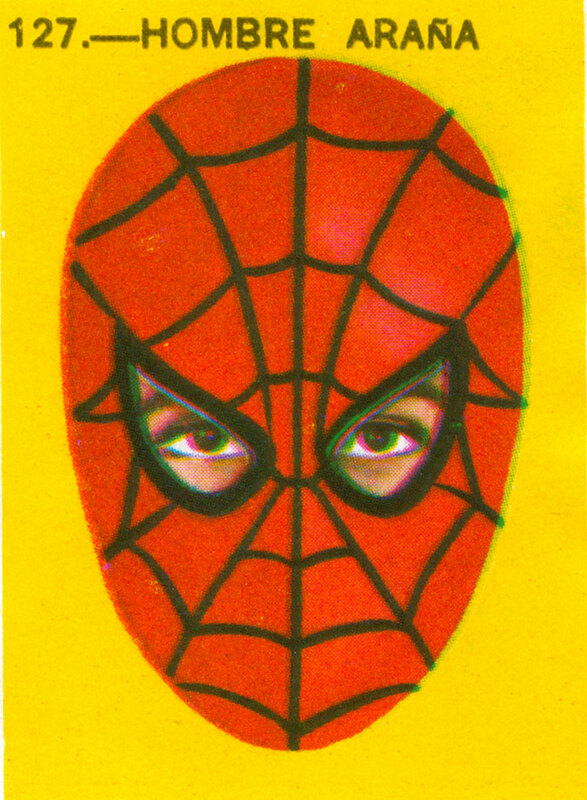 And in a week when the new cinematic Spider-Man made his trailer debut, what better way to start off than an unauthorized south-of-the-border web slinger? 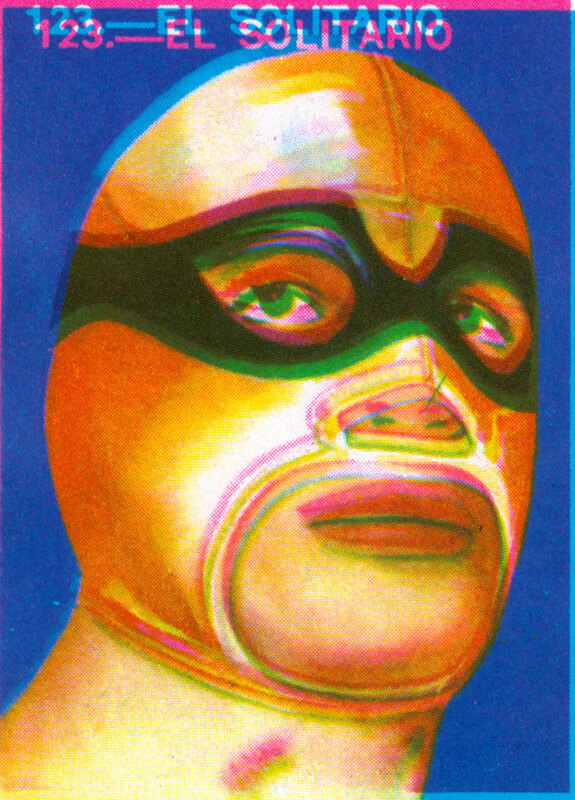 What I love about these cards are the inclusion of some decades-previous old school masked wrestlers from north-of-the-border. 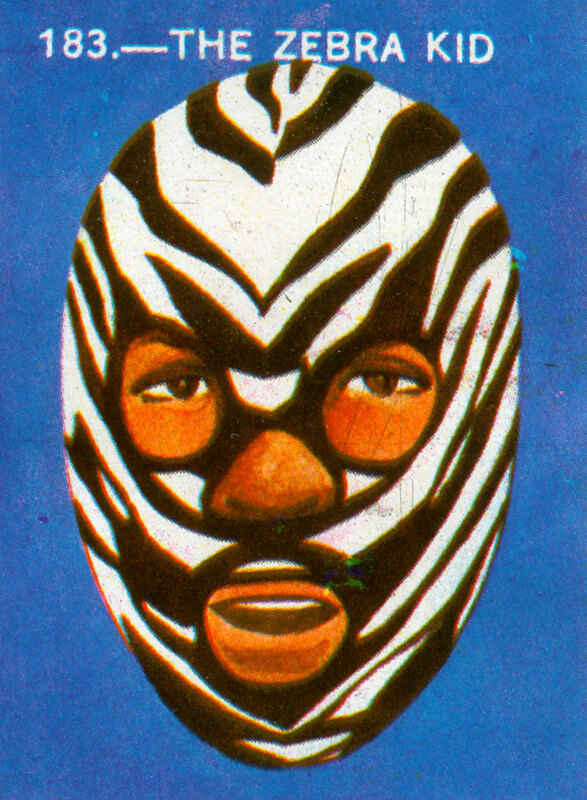 The Zebra Kid character was a multi-generational hooded heel gimmick from the American mid-west going back to the late 50s.